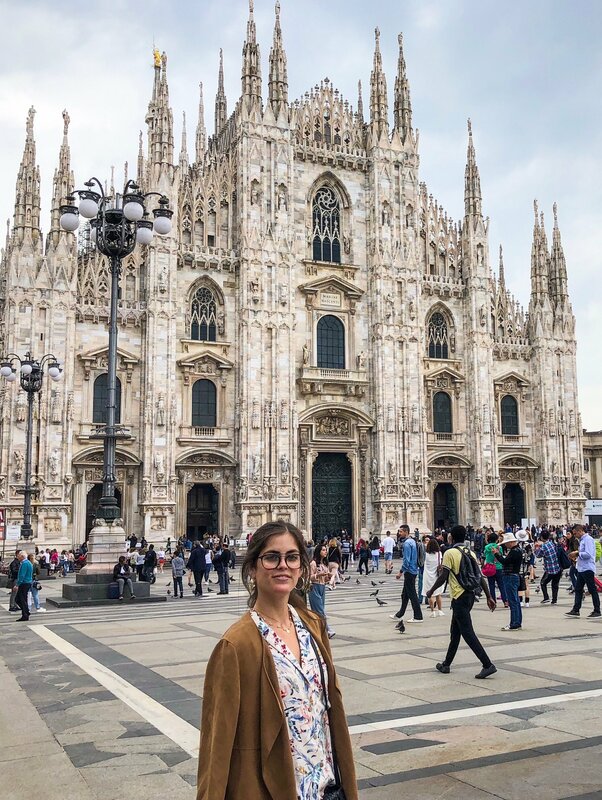 I fell in love with Milan during my first visit in May 2018, and it is now definitely one of my favorite cities in the world. In fact, I would happily live there – and I just might look into doing so in the near future! Hehe. 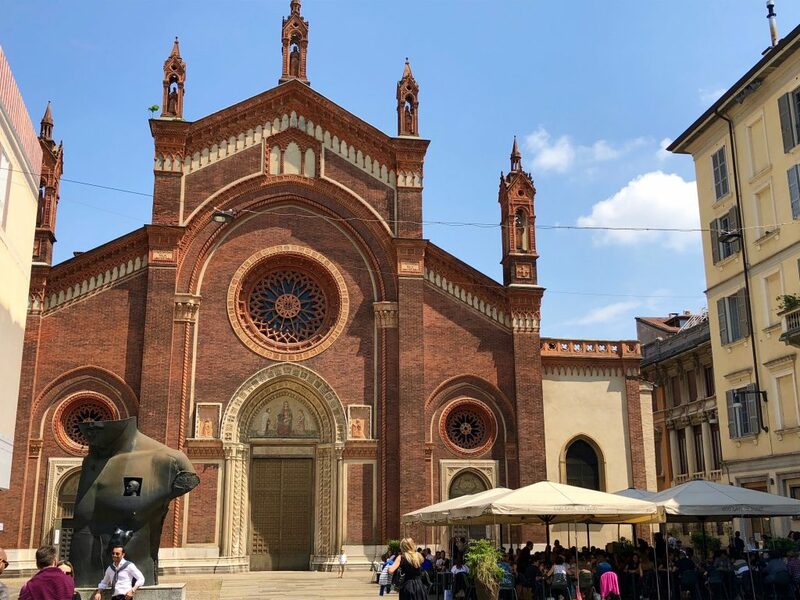 Milan may not have the same reputation as Rome or other Italian cities in terms of old-world charm, but I gotta say that it is delightfully impressive. 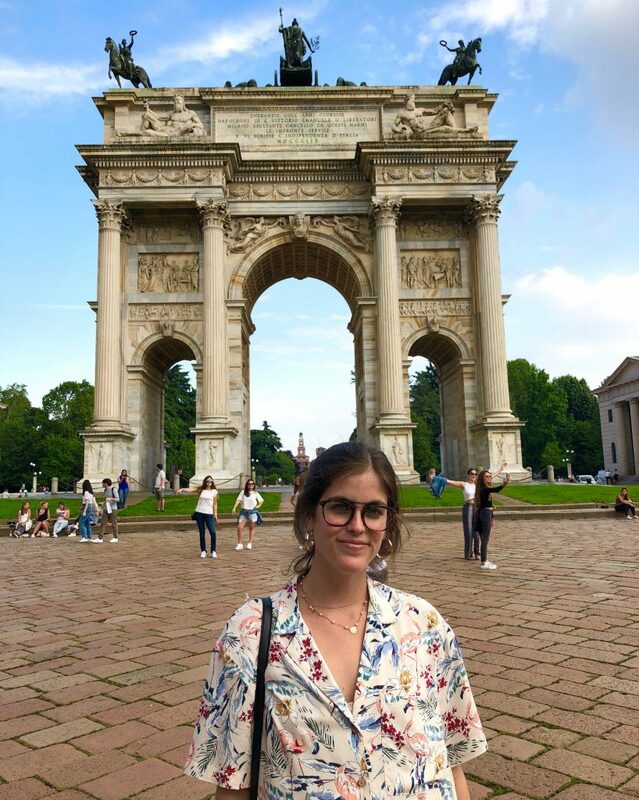 After a few days in Milan, I have compiled a list of my 10 favorite things (not in any meaningful order) about this chic city. #1. Saffron Risotto alla Milanese. Milan’s typical risotto dish is creamy, cheesy, and, of course, bright yellow because of the saffron used to prepare it. Upon arrival in Milan, we went to Taglio to satisfy our craving for this dish – and it was sooo good. I recommend Taglio not only for its risotto alla Milanese but also for its cozy ambience, filled with locals chatting over cheese platters, pasta, and wine. The restaurant also has a small shop that sells local ingredients used to prepare the dishes on the menu. I may talk about a city’s colorful buildings a lot, but there’s no denying that pops of color can really make a place come to life. 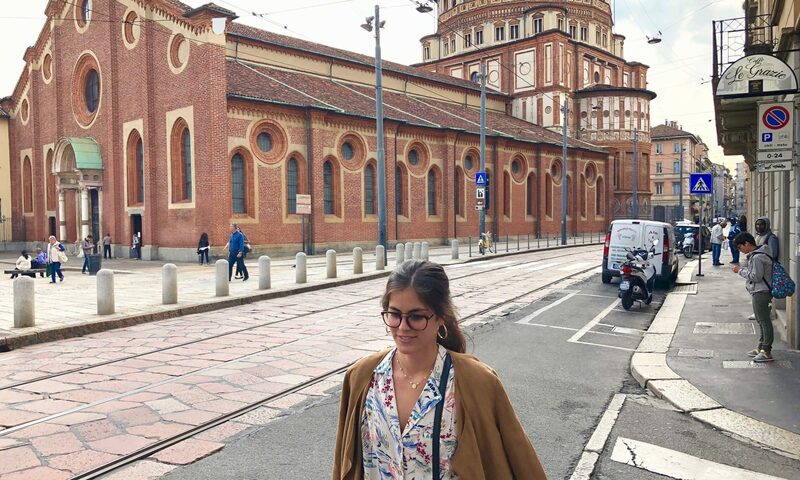 Before arriving in Milan, I was unsure what to expect from the city’s aesthetic in terms of its reputation as the modern economic powerhouse of Italy. 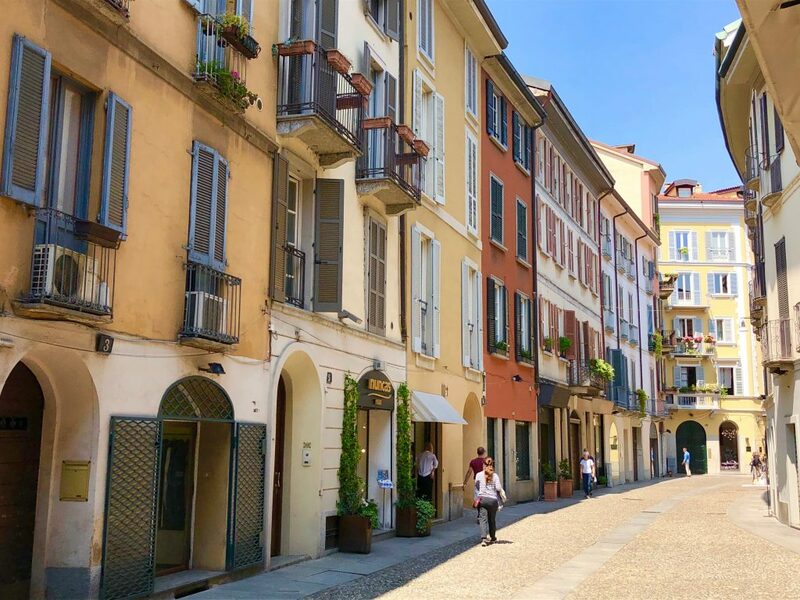 I soon realized that Milan can be charmingly quaint and picturesque, boasting neighborhoods with small, winding streets lined with colorful facades. 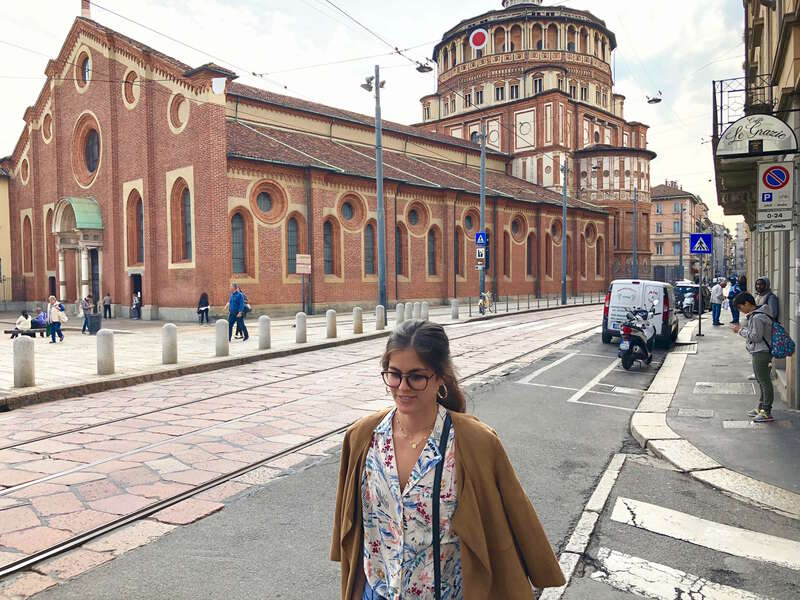 Roaming the historic center of the city is full of pleasant surprises: we often stumbled upon historic churches, like Santa Maria delle Grazie, and lovely alleyways. 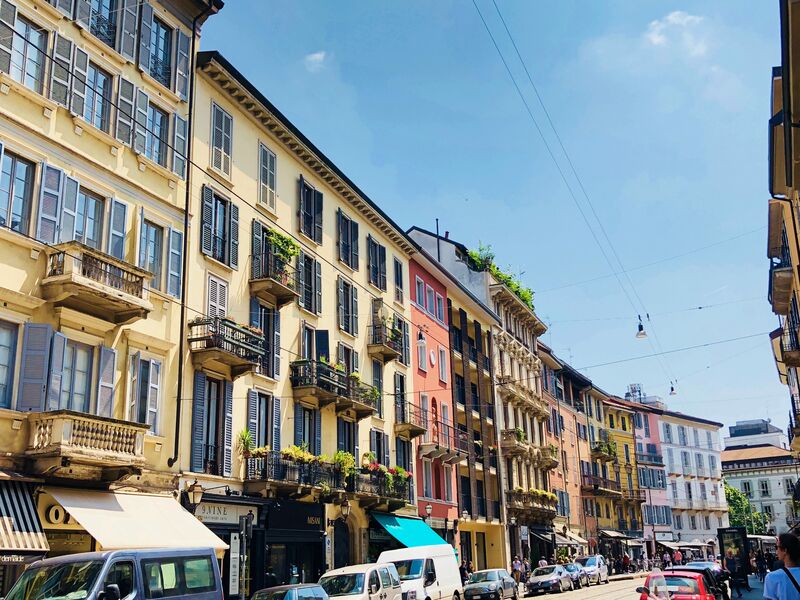 The Quadrilatero della Moda, which is Milan’s fashion district, as well as the Brera neighborhood are both fun to get lost in as you explore Milan’s pastel tones and architectural treasures. #3. San Bernardino alle Ossa’s crazy chapel decorated with HUMAN BONES. 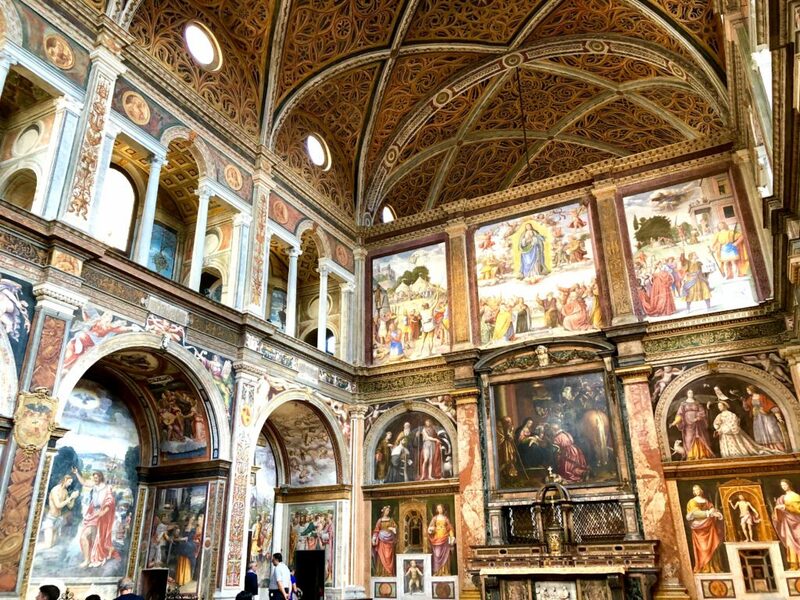 I have never seen anything like the chapel of San Berdardino alle Ossa in my life. 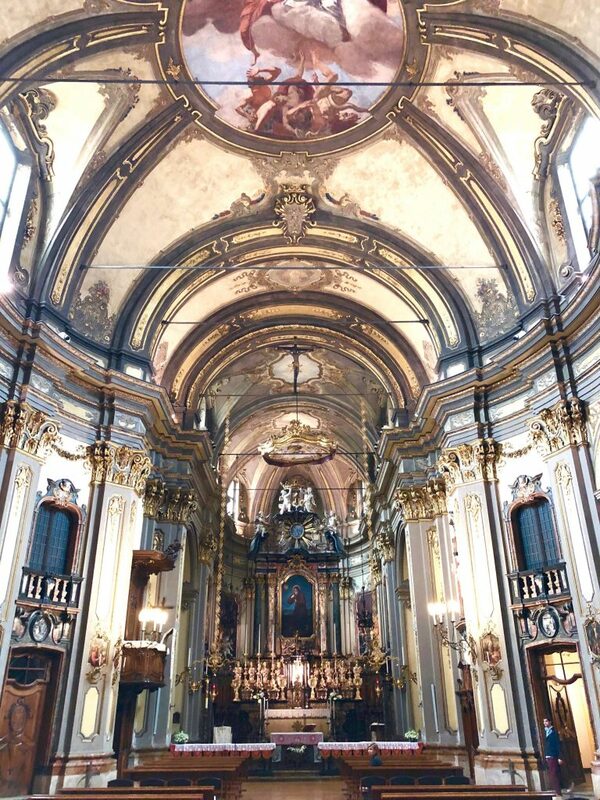 This unique site should be way up on your list for a visit to Milan. “Alle Ossa” in the church’s name refers to the ossuary, where human bones are used to decorate the small chapel. And, yes, I mean decorate: these bones are not hidden in a box or simply sitting in a pile. 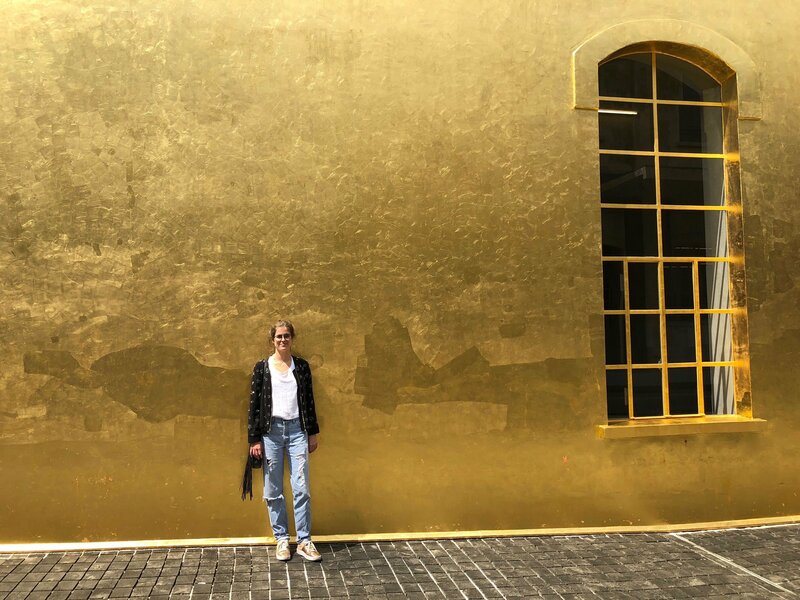 They have been arranged to make designs on the chapel walls and roof…I’m talking skulls and thigh bones and arm bones (and God knows what else) being arranged so that they form shapes and otherwise aesthetically pleasing patterns. SO CREEPY but SO COOL. Where did these bones come from, you may ask? The ossuary’s history dates back to 1210, when a chamber was built to house the bones that did not fit in a cemetery meant to bury the dead of a nearby hospital. Today’s ossuary houses bones from the poor who died in that hospital as well as clergymen who ran the hospital. However, there are also skulls of people who died violent deaths as well as from people beheaded as punishment for crimes. CRAY. Unfortunately, we were not allowed to take photos in the chapel, so you gotta just go see it for yourself. #4. 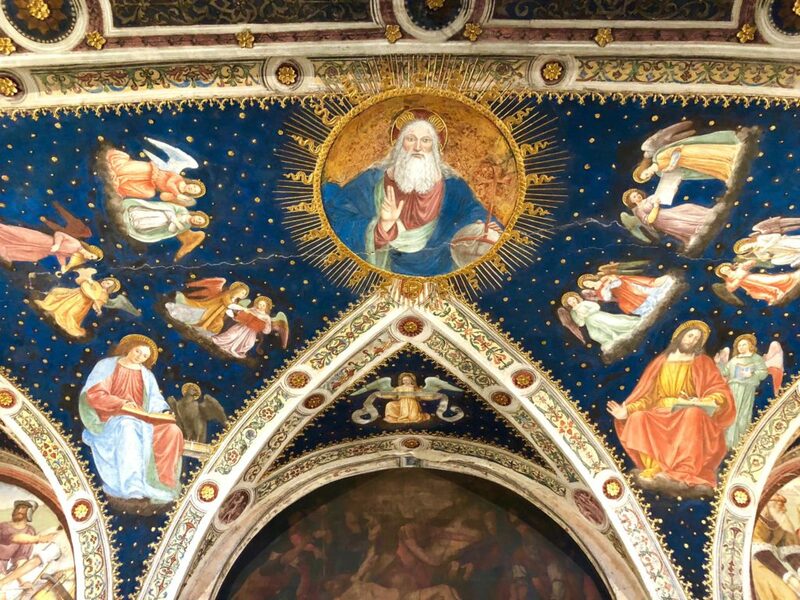 The frescoes in San Maurizio al Monastero Maggiore. 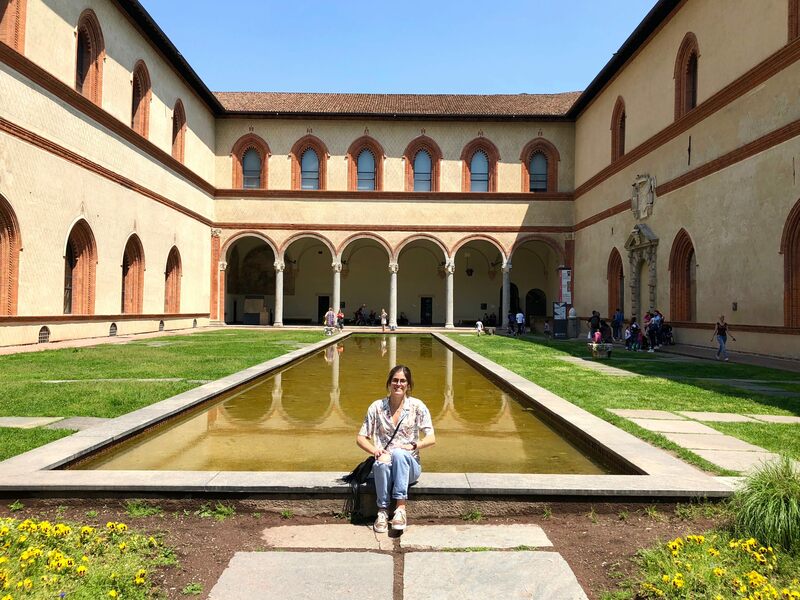 Milan is home to many impressive churches, but San Maurizio al Monastero Maggiore stands out because of the brightly colored frescoes that cover virtually every inch of the church. I literally did not want to leave as I took in the details of the intricate frescoes while listening to the melody of the church’s organ. #5. The jaw-dropping Duomo (it lives up to the hype). 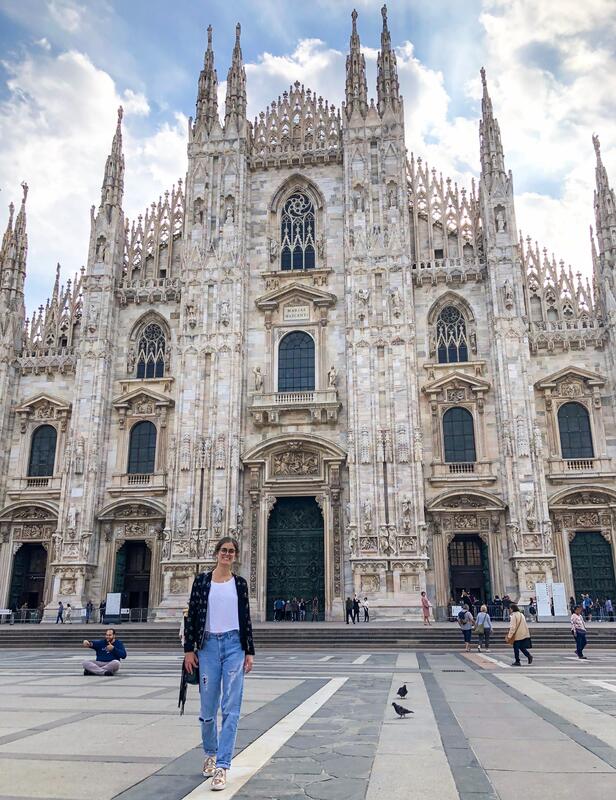 Milan’s Duomo is undoubtedly one of the most beautiful cathedrals in the world. Its incredibly detailed white stone facade is simply breathtaking. Take a few moments to walk around the entire edifice to note the detailed statues – over 3000 of them! – and the many spires that rise to the heavens in proper Gothic fashion. As striking as the Duomo is from the outside, I personally think it was kind of underwhelming and slightly austere on the inside. Bummer. One interesting thing to note about the cathedral’s interior is the differing colors of the stone – as you can imagine, the marble that has not been cleaned is a sooty brown color, especially as compared to the white stone that has been properly cleaned. 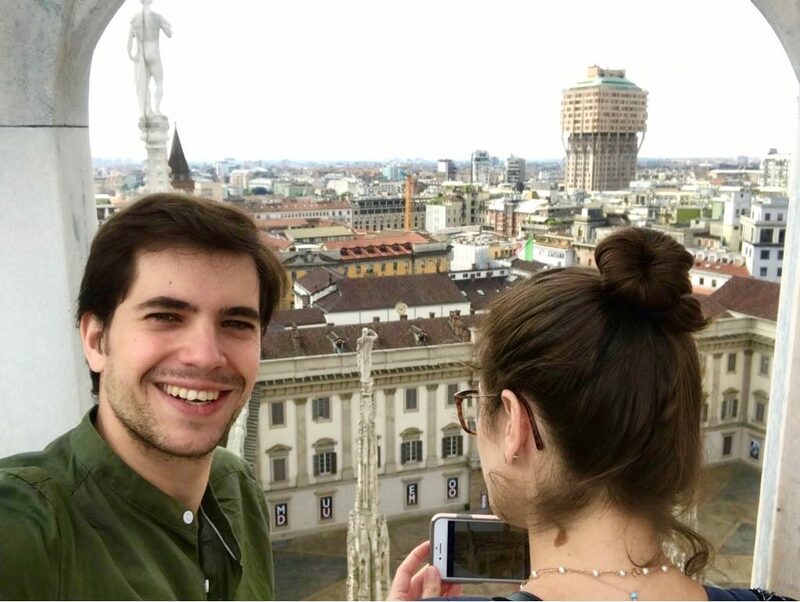 A visit to the Duomo’s terraces, which requires a separate ticket, offers great views of the city. 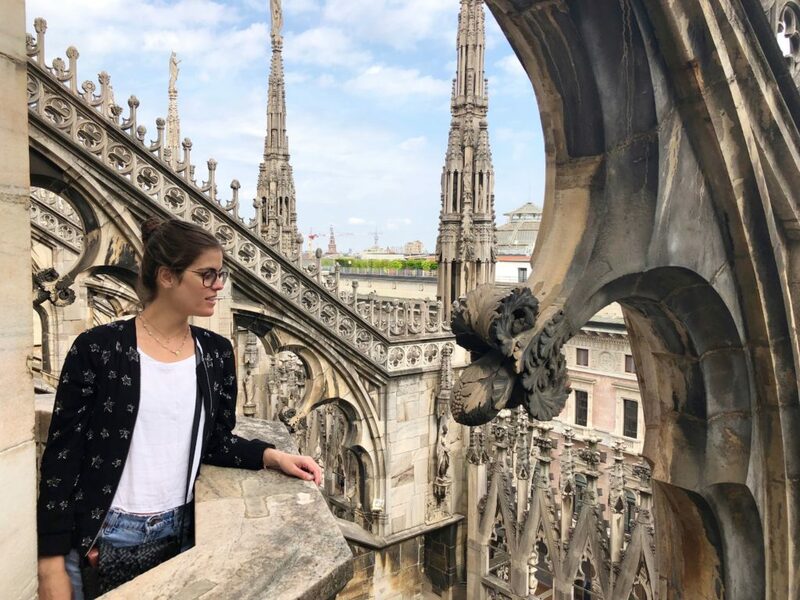 Plan your visit to the Duomo and the terraces carefully, as lines can get crazy long. After seeing the long lines on Saturday, we purchased our tickets ahead of time for Sunday and arrived right when it opened. This plan worked out well. #6. The sleek Galleria Vittorio Emanuele II (it also lives up to the hype). 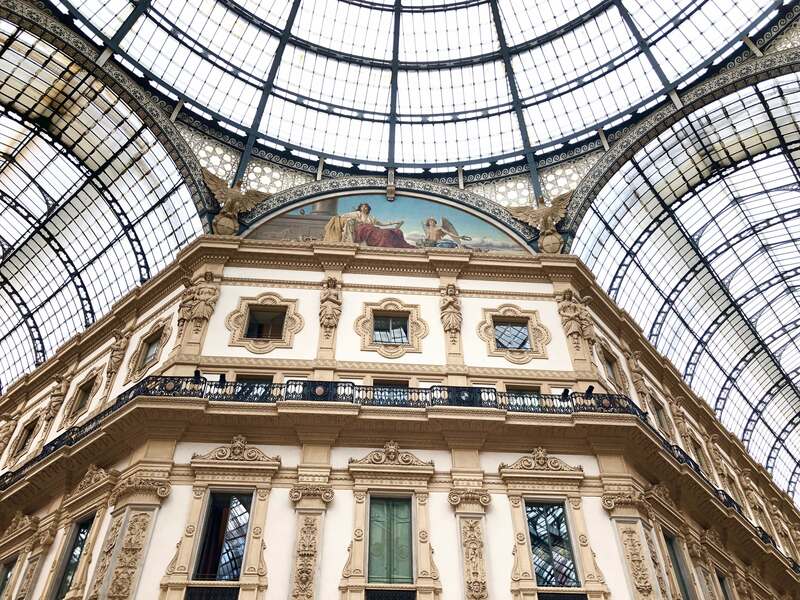 This architectural gem of a mall, nicknamed Milan’s “living room,” is well worth a stroll. Luxury brands like Prada, Versace, and Louis Vuitton post up here as a kind of passageway into the city’s fashion district. The details of the structure are magnificent: take note of the glass ceilings and the designs on the floor. My favorite part was the four paintings around the central dome, which represent the four corners of the world. Come late afternoon, the people of Milan are ready to slam an Aperol Spritz or a Negroni as they munch on their aperitivos before dinner. 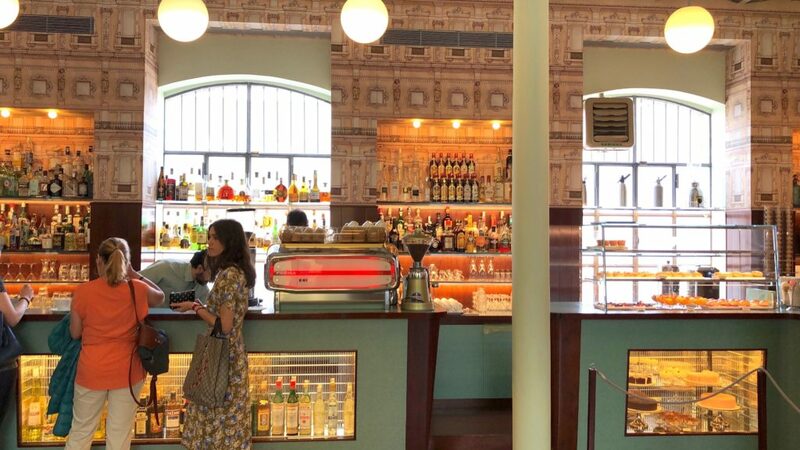 During the “sacred” aperitivo hours, many bars offer deals whereby you pay a certain amount, usually between 7-13 euros, for a drink and a snack. Sometimes the snacks are served to you, but there are also many places that feature unlimited snack buffets. 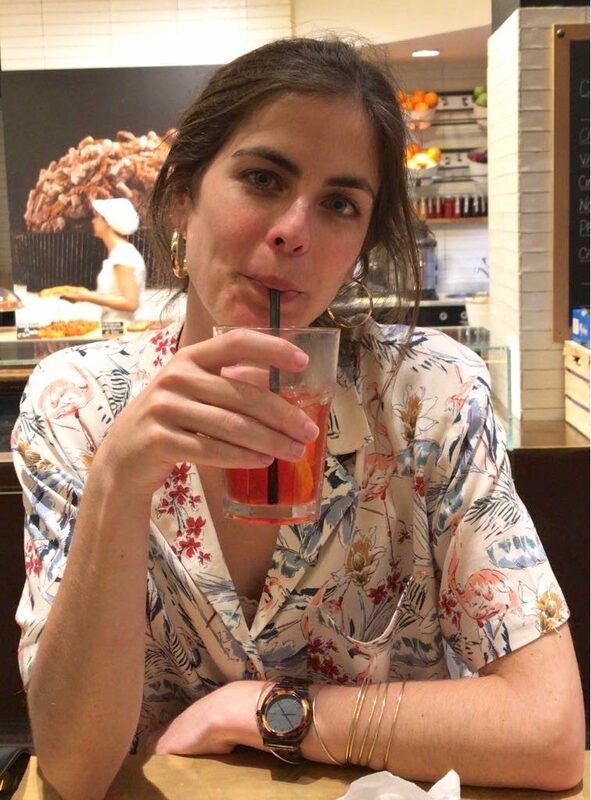 The aperitivo culture creates a sort of buzz (pardon the pun) during this time of day as people enjoy their beautiful city and the food and drinks it is known for. For a DIY aperitivo, grab beers and snacks at a grocery store and enjoy them by the Roman ruins in the plaza of the Basilica of San Lorenzo, where tons of people hang and drink in the evenings. 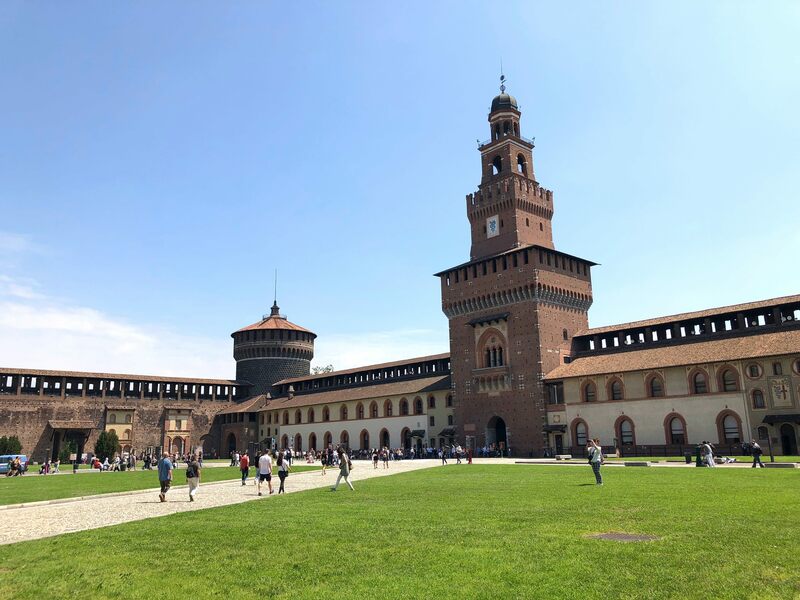 This 14th-century castle takes its name from the powerful Sforza family, considered to be the rulers of Milan in the mid-1400s. Of particular interest in the castle is artwork by Leonardo da Vinci, who Sforza called upon along with other artists to decorate the castle. 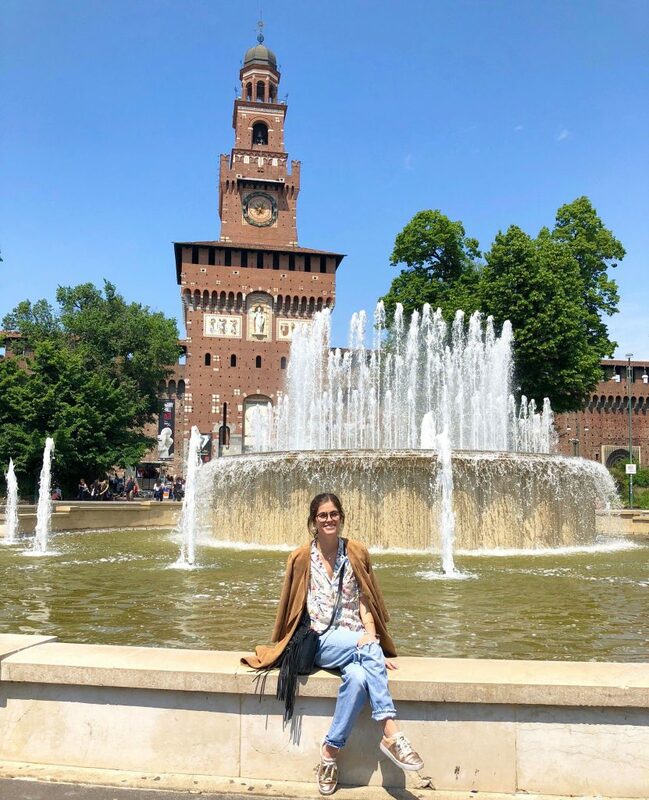 Situated in the heart of the city, Sforza Castle creates an interesting contrast between the old and the new. #9. The flowers and plants that spill out of countless balconies. 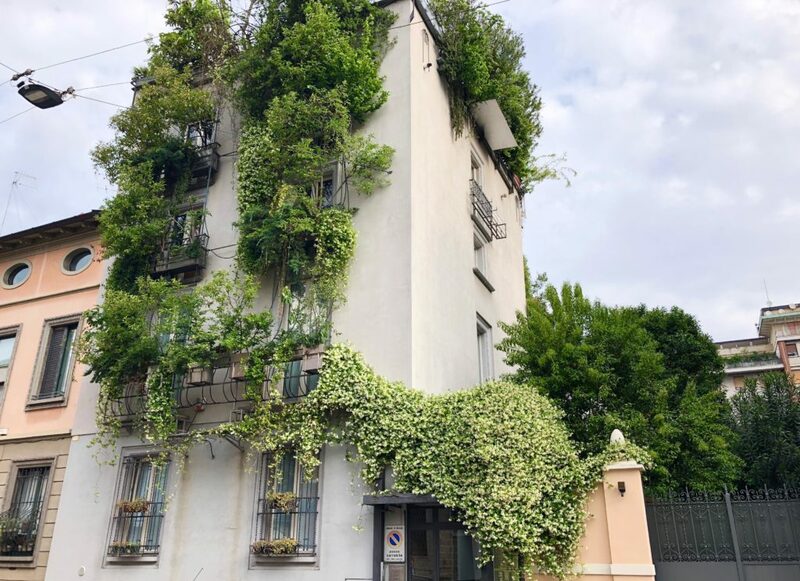 During our time in Milan, the city felt like one big hanging garden. Maybe I felt this way because we visited during the spring, but this aspect of the city undoubtedly lent it a sense of unique charm. 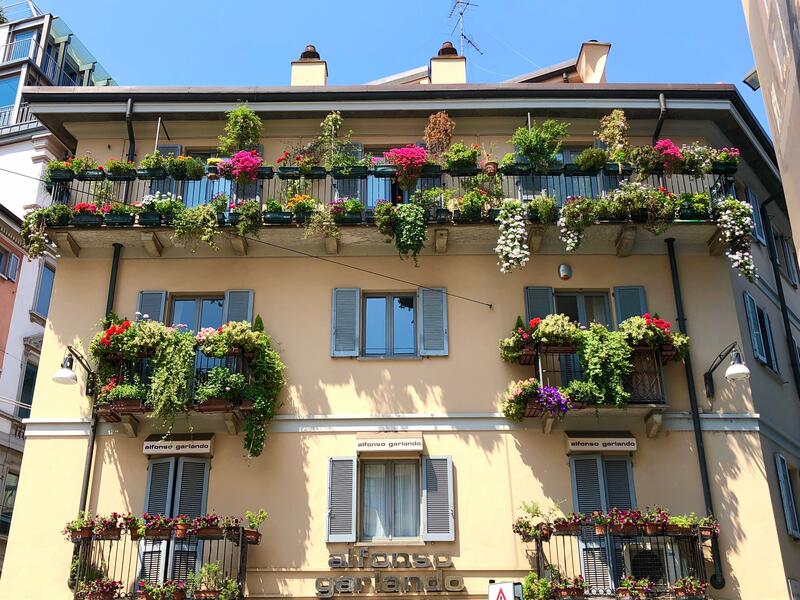 Flowers and vines spilled over balconies and terraces in almost every neighborhood, often making cosmopolitan Milan look like a cozy Italian town. 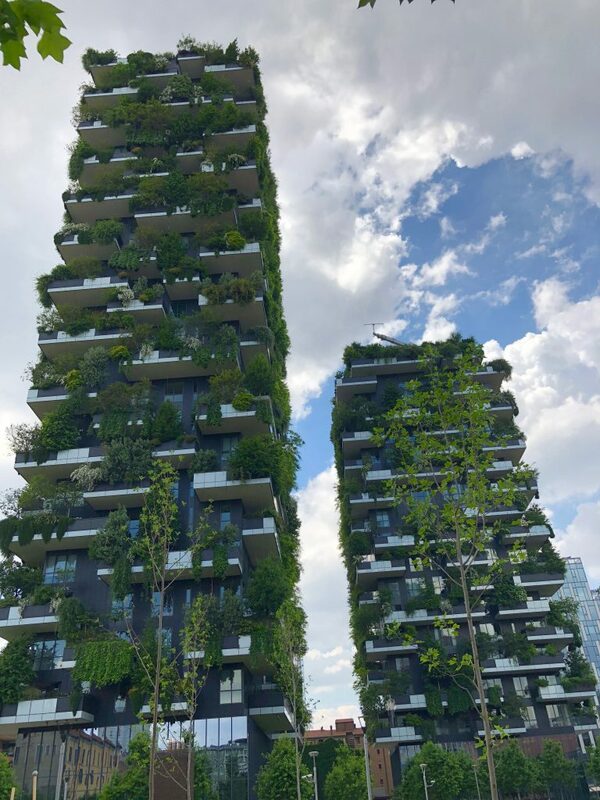 The crown jewel of this “hanging garden” aesthetic is Bosco Verticale, which translates to “vertical forest.” This chic residential complex, comprised of two high-rises, is known for the various species of trees and plant life that burst from the balconies and give the complex its name. The buildings are also a symbol of eco-friendly development, as the vegetation contributes to urban reforestation and reduces the effects of pollution. The Milanese definitely love their meats. One memorable dish we ate in Milan was a panino alla Milanese – a sandwich that included roast beef, brie, and truffle oil. Delicious. For specialty beef and meat products, head to Macelleria Populare, which translates to “popular butcher shop.” This unassuming stall in a market by the canal is a low-key hit among locals. Stop in for some tripe (yes, I am an avowed tripe aficionado) and polpette della nonna, or “grandma’s meatballs.” Then eat your goodies by the canal. 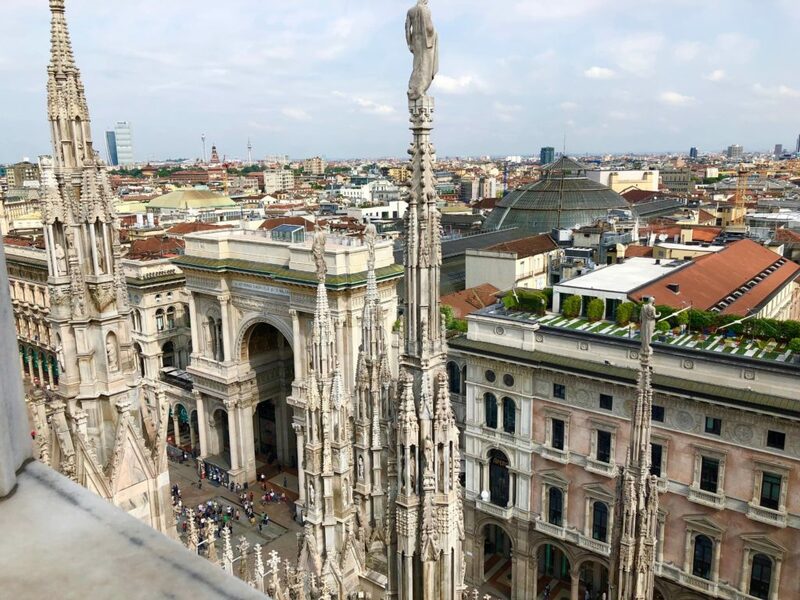 Milan is a must-see – no doubt about it. I can’t wait to go back! 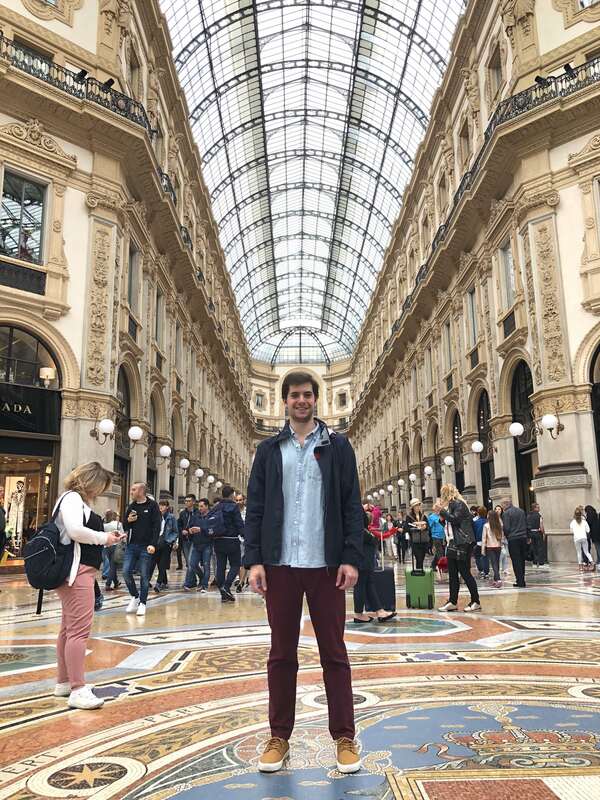 Below are some of my favorite photos from our time in Milan. 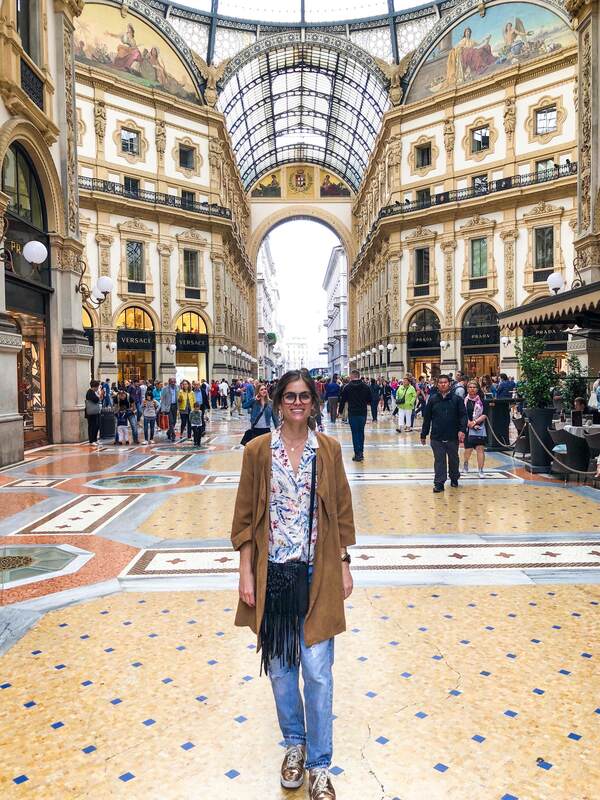 Pepster at the Galleria Vittorio Emanuele II. Check out the designs on the floor. 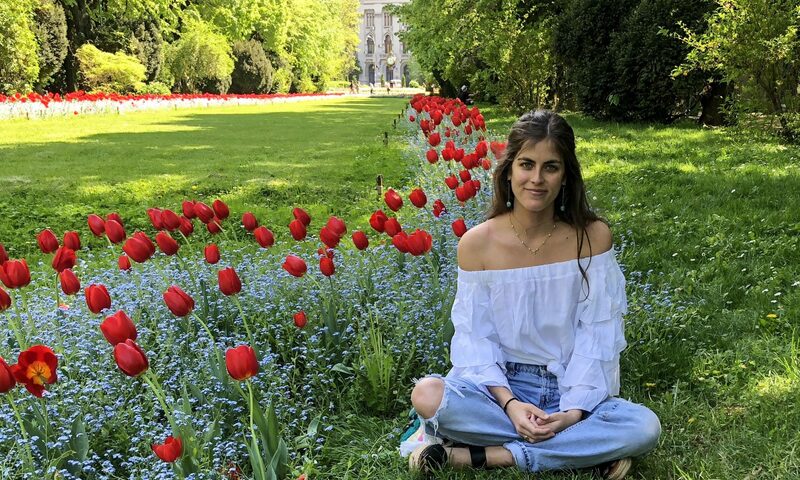 The Hanging Gardens of Babylon or Milan? Arco della Pace with Sforza Castle in the distance! A well-deserved aperitivo after walking almost 20 miles around Milan!! Wonderful city for a short 2-day trip!! And of course even more following Lili’s tips!